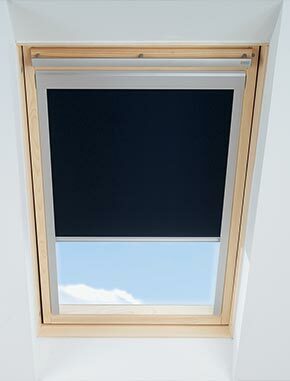 Itzala Roller Blind for VELUX Roof Windows - Budget Price! Can I combine a roller blind with other blinds? Yes, the roller blind can be combined with awning blinds for additional heat protection and insect screens for an insect free environment. However, please note that you cannot combine electrically operated and solar powered blinds. Is a roller blind the right solution for my room and needs? If you are looking for an affordable way to acheive basic privacy while still allowing natural daylight in, a roller blind is the right choice for you. Roller blinds are made of a translucent polyester cloth that diffuses incoming light to various degrees, depending on the colour of the blind. This makes the roller blind very decorative and helps you create a harmonious light in your room. Roller blinds are highly recommended for living and dining rooms, but also well suited for offices, hallways and playrooms. 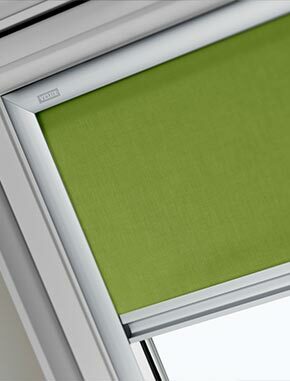 When should I select an Itzala roller blind? 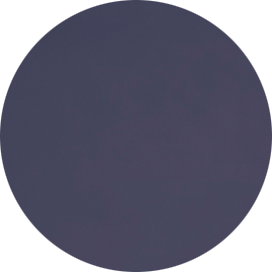 The Itzala roller blind is a low cost, value option available in dark blue and beige. 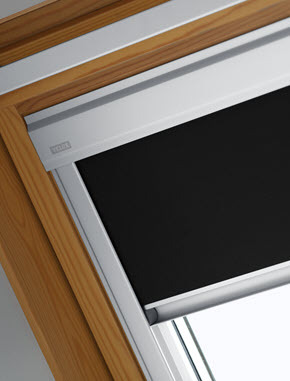 The blind has a robust roller mechanism and a tri-positional window clip. It is made of polyester fabric for long lasting durability. If you are looking for the lowest possible cost blind for your window, the Itzala roller blind should be your first choice. 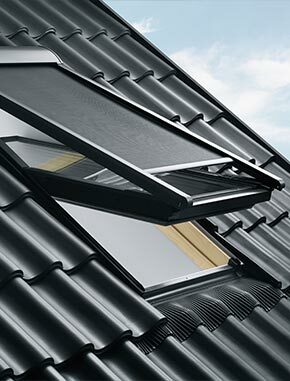 The blind is available for VELUX, FAKRO, RoofLITE, Dakstra, Keylite and Dakea roof windows. 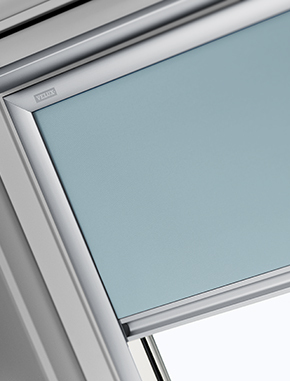 What is the most significant difference between Itzala and VELUX roller blinds? 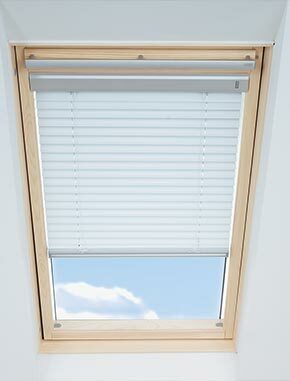 The VELUX roller blind is available in 15 different colours and patterns. It has a stepless positioning system, which means that it can be positioned anywhere in the window. 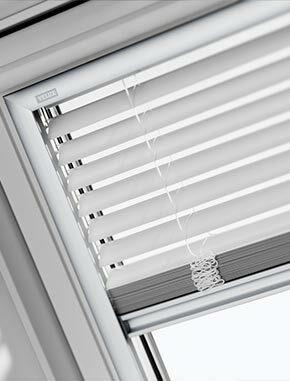 VELUX roller blinds are available in a manually operated and remote controlled version. 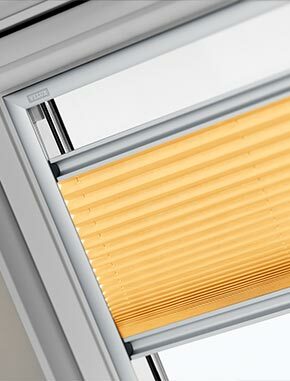 VELUX roller blinds run in side channels made of natural anodized aluminium. 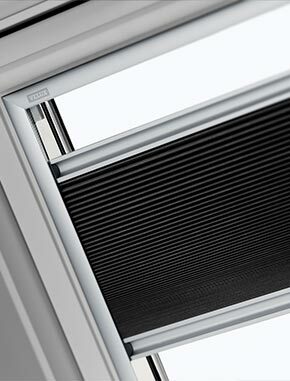 These channels ensure smooth operation, free positioning of the blind and prevent light from passing in around the edges. VELUX manually operated roller blinds with hooks come without top and side lists and can be positioned in three different heights. 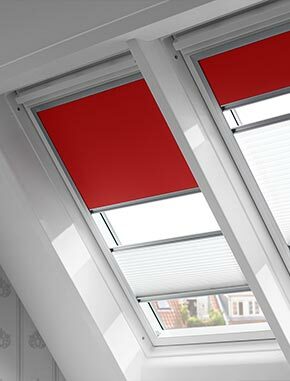 The VELUX roller blind comes with a three-year guarantee. 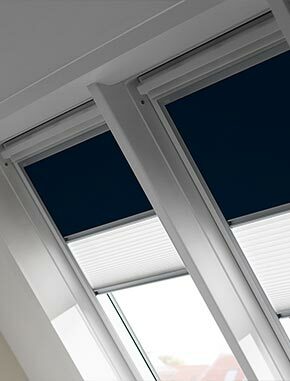 The Itzala roller blind is a low cost value option that comes in two colours: dark blue and beige. 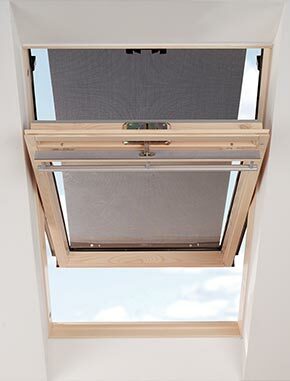 The blind has a robust roller mechanism and a tri-positional window clip. Itzala roller blinds purchased through the online shop have a two-year guarantee. What windows are your Itzala blinds compatible with? 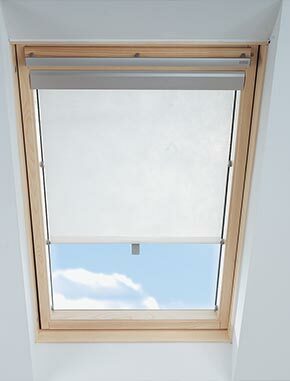 Itzala blinds are compatible with windows made by VELUX, FAKRO, RoofLITE, Dakstra, Keylite and Dakea. 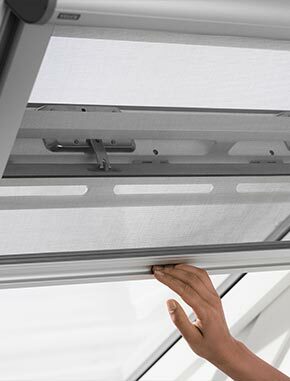 The Itzala awning blind however is only compatible with VELUX roof windows. 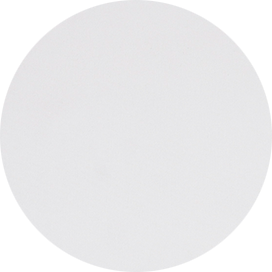 The Itzala roller blind can be easily positioned in 3 different points in the window. Simply place your hand on the handle at the end of the blind and pull down. Then attach the blind to one of 3 pairs of hooks mounted on the inside of the window frame.